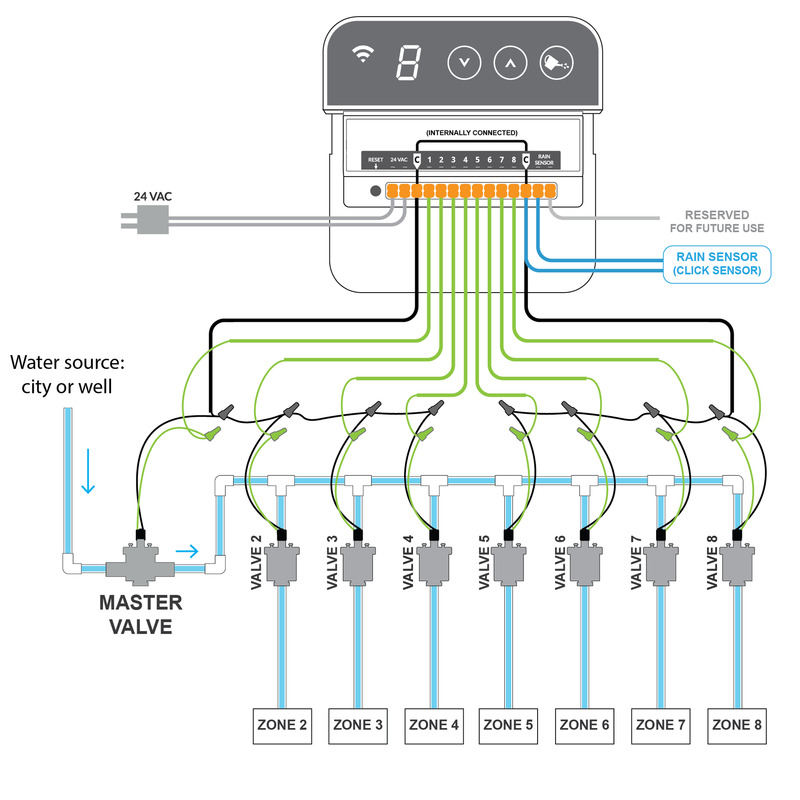 RainMachine has the ability to turn the first terminal (Zone 1) into a master valve/pump start relay switch. To do this, wire up your relay to Zone 1 on the RainMachine (with any common and the control wire into the no. 1 connector) and make sure it is firmly connected. Zones > Edit Zones > Zone 1 > Enable Master Valve. Note: Zone 1 will become Master Valve and it won't show up on the Zones or in the Program Edit zones list as a regular watering zone. The master valve or pump start relay is now good to go. Every time a zone starts the RainMachine will start the Pump/Master Valve. Should you need to start the pump before the zone is activated (so that it can gather pressure and prevent 'pipe knocking') or keep it running longer after a zone is finished, edit Zone 1 and modify the "Before Program Starts" and "After Program Ends" times. Note: The RainMachine is a 24VAC device and will not drive the pump, it will simply activate the on/off relay, which in turn can switch on/off power to a pump. Most pumps require 220V to operate. 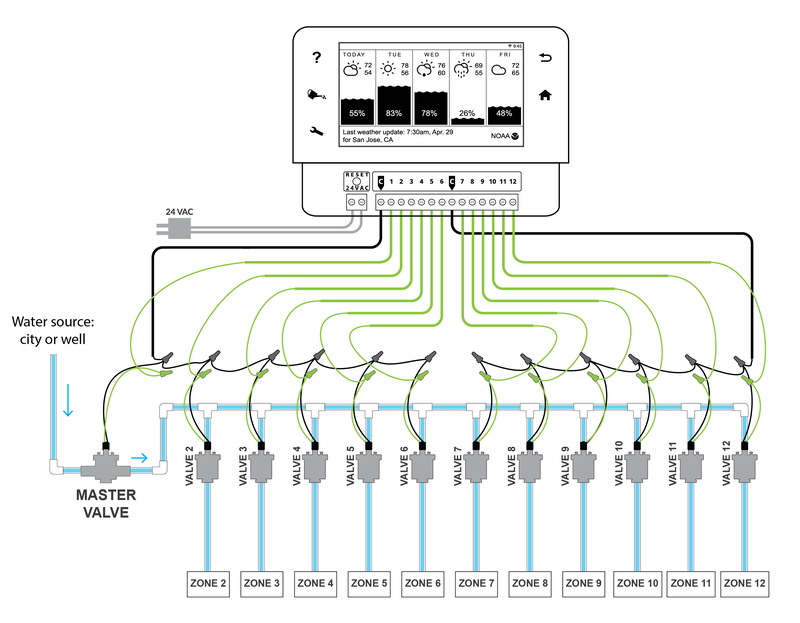 Note: You can use just one COMMON (C) terminal to wire all RainMachine zones. The RainMachine devices have all COMMON (C) terminals internally connected and it doesn't matter which one you'll use. They are added for a better wire management.